The internet can be a daunting challenge for parents in today’s overly connected and technological age. It is essential for parents to have the ability to control what their kids can access on the web, in order to keep their children safe from inappropriate, or worse, traumatizing content. Parents have adopted the use of computer parental control software for many years now, and have found it to be the best solution for content filtering. But, now a new challenge presents itself with the popularity of handheld smartphones and tablets, requiring their own compatible parental monitoring apps. Native parental control functions have begun to be present in most recent internet capable devices, including game consoles since the original Xbox, and Nintendo DS. Windows, Mac, and even smartphones now include some parental control features. However, they are rarely enough to effectively filter content, and can easily be turned off and back on by your child without your knowledge. It’s important to remember that these mobile devices are just like having a full sized computer in their pockets, and by default providing an uncensored, and unrestricted access to the World Wide Web. Unlike having to watch your child at the park, it’s also much more difficult to view and keep tabs on their online activities. The dangers go beyond web content when you consider online predators. With kids starting to use these technologies at increasingly younger ages, online parental control and filtering has become the responsibility of all parents. Although parents should be seeking to control and filter web content as soon as their little ones start using the internet, teenage years are one of the most precarious times of your child’s life. One of the most notable changes to come from mobile technologies, has been the amount of personal data we share on social media. We regularly share pictures, videos, and daily activities through various social media platforms, such as Facebook, Instagram, Twitter, and so on. Teenagers and young adults are the largest portion of social media users, and share more than any other demographic. Younger teens now tend to gravitate towards video sharing apps like Snapchat, where they can control how long a posts lasts before it gets deleted. Needless to say, with this overly connected, and open adoption of online sharing, parental monitoring can help parents keep their kids out of trouble. The good news is that mobile parental tracking apps available today excel at providing unmatched security, and control to keep your kids safe at all times. It’s like having a 24/7 digital nanny working for you, keeping your family safe at all times. Not all of them are good, and some even dangerous, but in this guide, I will cover some of the basics, the best options, as well as what services you should avoid. The features and capabilities of each service provider can differ, but to give you a generally idea, below is a list of all the focal applications of cell phone parental control and monitoring software. The list of features can be much larger, or smaller depending on the service. Web Filtering: Control what content can be accessed, block inappropriate websites, disallow any app of your choice, and block any number of your choice. 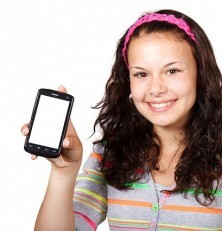 GPS Location Tracking: Know where your child is at all times with live GPS location tracking. Ensure your kids make their way to, and back from school. Geo-Fencing: Complimentary to GPS, create a geographical barrier where your child should be located at all times, and receive an alert if your child has travelled too far. Text Message and Call Logs: Monitor and collect all call logs, and text messages to ensure your child is not engaging in dangerous activities, or communicating with the wrong people. Web History, and Social Media: You can also collect web usage data, such as visited and bookmarked websites, all the way to social media and IM – Instant Messenger apps such as Skype, WhatsApp, Facebook, Viber, Snapchat, and so on. *Call recording is no longer a regularly feature due to courts ordering the capability to be removed for being too invasive, however some vendors still offer this capability, as well as other related features such as remote camera and microphone activation for eavesdropping. There are various services out there, and choosing can be confusing when you know little about smartphones. Some basic applications really only offer the ability to filter content, automatically blocking inappropriate websites, and sometimes provide GPS location data. These simple apps can be considered as strictly parent control apps. However, when you wish to collect data such as text messages, and have advanced controls over the mobile device, you would want to opt for a spy, or monitoring app, in order to benefit from both filtering and monitoring control functions. Additionally, some monitoring software is able to operate in stealth mode, while others are specifically designed to continuously alert the device user that he or she is being monitored. In conclusion, we can split them as follows. Should You Tell Your Child About Monitoring Their Devices? As a parent, it is completely up to you to divulge to your kids about any parental control, and monitoring software used on their computers, cell phones, or tablets. It is completely legal for parents to use these services, and remains to their discretion on how to approach it. 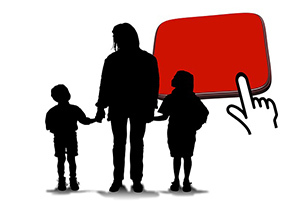 In my opinion, it is of high importance that you communicate to your children about online content, responsible use, and some of the dangers to watch out for. 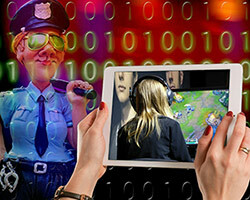 In the process, you can also advise them that their usage is monitored for their safety, but that may also result in teens attempting to bypass, or delete the software, which is why some parents prefer to use stealth monitoring software. In some cases, your teen might already be hiding something from you that could directly put them in danger. Either way, you are free to apply the use of monitoring on any device you provide your child with. A clear winner for parents all over the world, mSpy has been providing their service for many years now, giving them a proven track record that has passed the test of time, and gotten better every year. The service is offered for both mobile devices and computers, and a bundle subscription if you need both. But, focusing on their mobile cellphone and tablet functions, they provide text message monitoring, call logs, website history, emails, and GPS location tracking on their basic plans, while the Premium plan includes advanced features such as blocking websites, apps, incoming calls, GPS Geo-Fencing, a complete Keylogger, as well as support for a long list of IM apps such as WhatsApp, and exclusively support Snapchat, and Tinder. The service is only offered on Apple iOS, and Android mobile platforms. The Premium Plan is a clear winner for parents, providing all needed smartphone parental control features, complete logs of all communication and social apps, and advanced GPS functions. The Bundle Plan is even better if you also wish to monitor and control your home computers, or laptops. 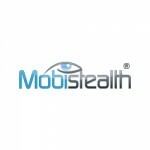 Mobistealth is a considerable choice for parents with most of the important features, and the ability to record phone calls, as well as remotely record the surroundings using the microphone on Android. They also provide the usual keylogging, web history, text message, and call logs, but don’t support as many instant messaging apps. They support a few big one such as BBM, Skype, WhatsApp, but lack Facebook Messenger, and Snapchat, both very popular with teenagers. Advanced web filtering and app blocking functions also importantly lack. Detailed location tracking that works with or without GPS. The service is offered on all major mobile platforms, with the exception of Windows Phone, as well as computer desktop software. Android, iPhone, Blackberry, and Nokia Symbian, all have the option of basic and advanced plans. Parents choosing Mobistealth over other providers are most likely specifically looking for call recording, or remote microphone recording to be included, but you should know this feature is only available for Android. The iPhone plans do not offer it, and are actually split between jailbroken and non-jailbroken services that are hard to differentiate. Unless you’re on Android, I would suggest another service. FlexiSpy is the most expensive of the bunch, and being that families need to budget their expenses, I placed them third on this list. However, their service is better than Mobistealth and closely rivals mSpy, and exclusively offers call recording, remote recording with both the microphone and camera, and live call tapping both on Android, and iPhone. 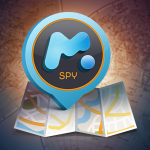 The service otherwise offers a similar list of features to mSpy, with the exception of Snapchat, and Tinder support. They also don’t provide as much ability to block apps, or filter web content, which is a big downside for some. Otherwise, they offer a very long list of monitoring capabilities across Andorid, iPhone, iPad, Blackberry, and Nokia phones. The basic plans are limited, and all advanced monitoring, call recording, and remote control features are exclusively offered in the high end subscription plans. Although they cost much more, the service offers the most extensive list of features for those willing to pay. How to Choose Between the Three? To quickly summarize the strong and weak points, I can quickly give you an idea on how to pick the best one for your needs with the following summary. mSpy: Competitive pricing. Lacks call recording, and remote mic, or camera control. Only service that offers advanced web filtering, website, app, and call blocking features. Advanced parental GPS features. Only service to support Snapchat, Tinder, and Google Hangouts. 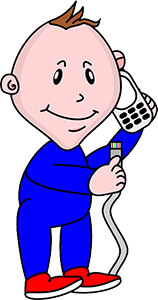 You do not need call recording, or remote camera, and microphone control. 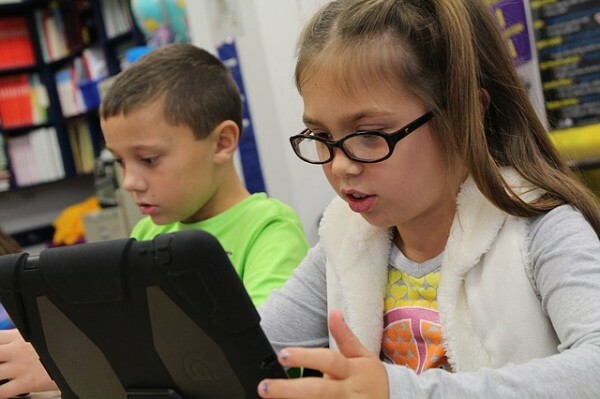 You want the most web filtering, blocking, and app control over your child’s device. You specifically need to log Snapchat and Tinder apps. Mobistealth: Competitive pricing, but less polished dashboard. Lacks some important instant messenger apps, as well as content filtering capabilities. but does include most of the regular logging features, including GPS tracking. Also offers call recording, and remote microphone control, but only on Android platform. You have an Android and absolutely need to record calls, or remotely activate microphone to listen in. You don’t mind a shorter list of features, in order to pay less than FlexiSpy. You do not need web content, and app blocking capability. 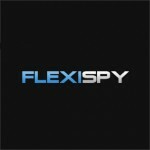 FlexiSpy: Most comprehensive list of functions, including the most advanced remote features, including recording video, and audio, snapshots, and call recording functions on both Android and iPhone. Lacks in web content filtering and ability to block apps. Long list of compatible IM apps, and advanced GPS features. You need call recording, remote camera and mic control on iPhone, or Android. You want the most features possible, and don’t mind paying more. In conclusion, mSpy provides the best well-rounded parental control, and monitoring features, while FlexiSpy wins in the remote control, and call recording field. Mobistealth makes a good considerable choice for Android users that want call recording, but wish to play less than FlexiSpy. These services encompass the best cellphone monitoring, spy app vendors available at this time in 2016, and all of them operate in stealth mode. But, there are also the basic parental control applications previously mentioned, which specifically provide in-depth parental filter controls, and less monitoring functions. These less advanced cell phone service apps usually cost much less than tracking apps, but also usually work on a subscription model. They also don’t require any kind of jailbreaking or rooting of your smartphone in order to work. Let’s have a look at some of the best options available. Another service to hit the mark with parents seeking to better secure their child’s computers, cell phones and tablets is Net Nanny, with easy to use internet filters, time management options, and censoring profanity, the service has it all. If web content filtering, and time management is what you need most, Net Nanny was the clear winner. Although they lack any kind of location tracking, and monitoring service, they excel and filtering content effectively, with simple configuration options. Time management tools also allow you to determine how long your child can spend using a specific app, and various logs provide you basic usage details. Beyond not having the ability to provide you the device’s location, this service is the best we tested, in comparison to similar products. Various packages available, with discounts on multiple devices. Norton Family Premier is a great parental control application available for Windows, and Mac computers, as well as Apple, and Android mobile devices. With Norton Family Premier, parents can have peace of mind that all web content is properly filtered to block inappropriate pages, but also includes basic usage logs to give you an idea of how much time your kid uses the device, as well as what apps are being accessed. Basic GPS location tracking features are also included. Nothing advanced as far as monitoring goes, but does a great job of blocking web content, while providing some visibility on your child’s online activities, and location. A very good choice with various discounted packages for multiple devices, but service features differ from Android to iOS. Mobile-Spy and PhoneSheriff have once been leaders in the parental control and monitoring space, but have more recently garnished too many negative reviews for me to be able to recommend either at this time. Both products come from the same company, and while they no longer offer stealth operation (service is visible and warns user that device is being monitored), that is not why I am not recommending them. The service has not been able to properly upkeep with software updates and provide a reliable, working service. Many bugs, and features simply do not work as advertised. All three of these products come from a single company, whom offer the lowest priced services in the market. All of their products are sold as a one-time fee, comparatively to monthly or yearly subscription plans from all the other vendors. Why is that? How can they afford to be so cheap? Most of the real user peer reviews are negative. Many complaints regarding the service not working as advertised, as well as non-existing after sale customer service. The truth is that the service does not work. We tested all their products on various smartphones, and both iOS and Android versions failed to work properly. Most of the features did not work, or only worked intermittently. he company makes you agree that they do not promise any functionality, and do not provide any refunds. Additionally, in the past we have caught them requesting you to provide them full ownership of your device’s contacts and do as they please with it. Nowhere do they state what constitutes contact data, and might be collecting all of your data without you knowing. This is beyond unacceptable, especially for cellphones used underage kids. Although they have since removed this clause in the service agreement, it’s anyone’s guess if they are still collecting and selling your device contacts, regardless if being used by children. In the end, the cost savings benefits from Highster Mobile and company only seem to leave a bad taste in everyone’s mouth. Before you begin your purchase, you should be aware that for your smartphone to be fully compatible with monitoring apps, some pre-requisites are usually needed to be completed first. I suggest you visit my comprehensive cell phone tracking software guide for all the possible information you might need, but for starters, you should know that all iOS, iPhone and iPad devices need to be jailbroken to use advanced monitoring apps, but not for basic parental control apps such as the ones I listed, Norton and Net Nanny. Similarly, Android phones need to be rooted for many of the features to work, although it is not required, you should check what features need rooting, to ensure you don’t end up with any bad surprised. The guide linked just above contains a ton of information on absolutely everything regarding cell phone tracking software and compatibility, to ensure that you make the right choice before wasting your money on something that won’t work. If you have any additional questions, please leave a comment below, and I will do my best to help you!